An emergency room nurse and doctor from Woodstock, N.B., and a nurse from Halifax say they are safe but have no idea when they will be able to leave Haiti as violent protests continue in that country. “We’re all safe and we’re not worried about our safety, as long as we don’t leave the property we’re on now,” said Dr. Heather Dow. The latest demonstrations in Haiti were triggered by frustrations over the country’s high unemployment rates and skyrocketing prices. 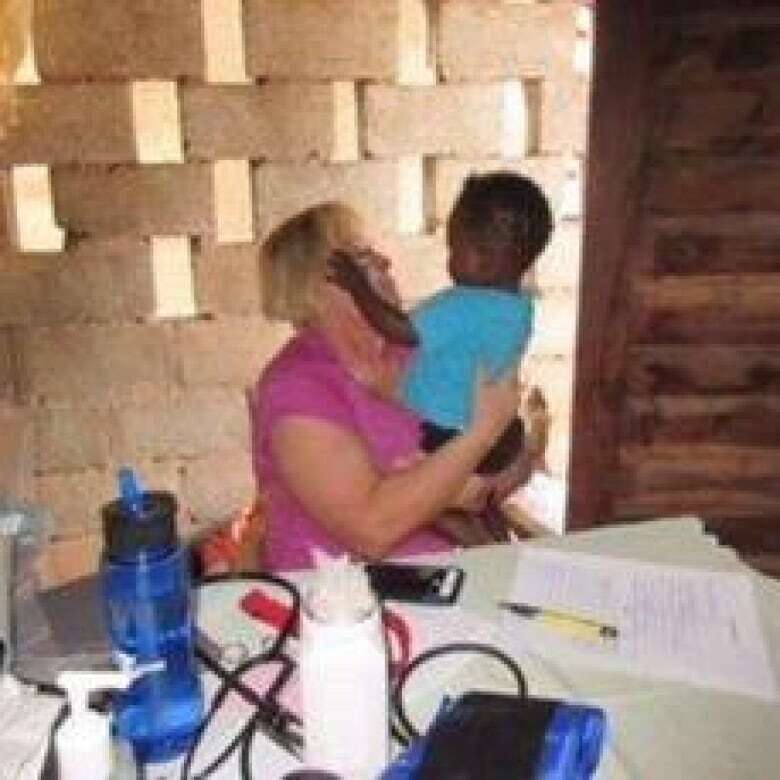 Dow, along with Cathy Davies and Rachel Blaquiere, travelled to Haiti to provide free medical aid in small villages and towns. But the protests are preventing their departure, which was scheduled for Wednesday. “We’re a bit stressed because we have obligations at home that we’re probably not going to be able to meet if we don’t get home soon,” Dow said. Protests and demonstrations began Feb. 7, on the anniversary of the overthrow 33 years ago of dictator Jean-Claude (Baby Doc) Duvalier. Dow said that despite President Jovenel Moise’s promises of improvements, things have gotten worse. In an interview with Shift New Brunswick, Davies, from Woodstock, said they had no idea this would happen because nothing like it had happened when they were there at the same time last year. “This came to us as a complete shock when it all began,” she said. The women, along with the medical team they travel with, were able to reach a small clinic in the mountains that day but encountered roadblocks, and someone threw a gas bomb at them. The three are staying at the home of Dr. Emilio Bazile, who lives in Ottawa but returns to the country three or four times a year to deliver medical care. They have accompanied him on many of those trips. His home is four hours from Port-au-Prince, where the only international airport is located. Dow said entrances to the capital have been blocked and there are roadblocks throughout the city. “There’s a lot of demonstrations with rock throwing and tire burning, cement-barricade building and clashes with the police that have left many injured and several killed,” Dow said. She said they’ve heard people at the barricades are asking for money to let people through, and sometimes hold people for ransom to make their point to the government about how unhappy they are. The women said Bazile has been trying to use his contacts to arrange a safe way for the women to leave the country. More calls were being made to the Canadian Embassy to see if they could help. “Right now with the roads blockaded there’s no way to get to Port-au-Prince,” said Dow. Davies said another friend is working with his contacts to arrange a flight from another airport if they can there.